All students 7th-12th grade who will participate in ANY school sponsored activities (sports, fine arts, and school clubs) or who will park on campus must complete a drug test prior to participation in that activity. There will be a two- step process to pay for the drug test and choose a time to come to the Home of the Spartans (HOTS) and take the test. Parents should register and pay for their student’s drug test online as soon as possible. Failure to do so will result in a loss of participation in any activity until the drug testing process is completed. After receiving an email of payment, then you can print off your receipt and take it with you to DATL. Please make sure to take a form of identification. Their information is below. 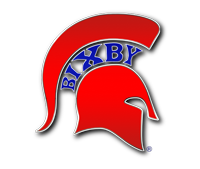 You may contact Jay Bittle, the Executive Director of Athletics, at jbittle@bixbyps.org , Stephanie Blackwell, Director of Athletic Programs, at sblackwell@bixbyps.org or Mrs. Wood, Athletic Secretary, at dwood@bixbyps.org with questions. If you do not have access to a computer you may also schedule a drug test by calling Mrs. Wood at 918-366-2218. As always, should you have any questions please contact your coach, director, or the athletic department.